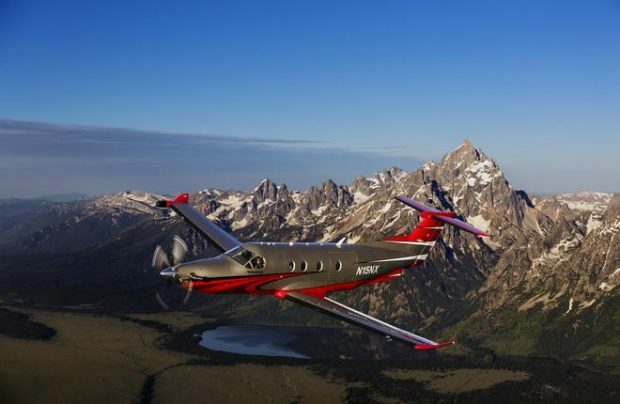 Belarus’s first business aviation operator BySky has taken delivery of two Swiss-built Pilatus PC-12NG turboprop aircraft, a representative of Nesterov Aviation, an official dealer for Pilatus Aircraft, told Russian Aviation Insider. Both airliners were delivered in December, and are scheduled to enter service in 2018. The Belarusian carrier intends to add more examples of the type in the future. BySky first hit the news in late August 2017, with plans to initially operate two factory-new PC-12NGs and, later on, small jets (seating up to 10 passengers). The PC-12 contract was mediated by Nesterov Aviation. The carrier was created as part of an investment contract with the Belarusian Ministry of Transport and Communications. The document also calls for setting up a bizav center, to be known as FBO Minsk, at the country’s main airport by 2019, and a regional MRO center for Pilatus aircraft operated in Eastern Europe.